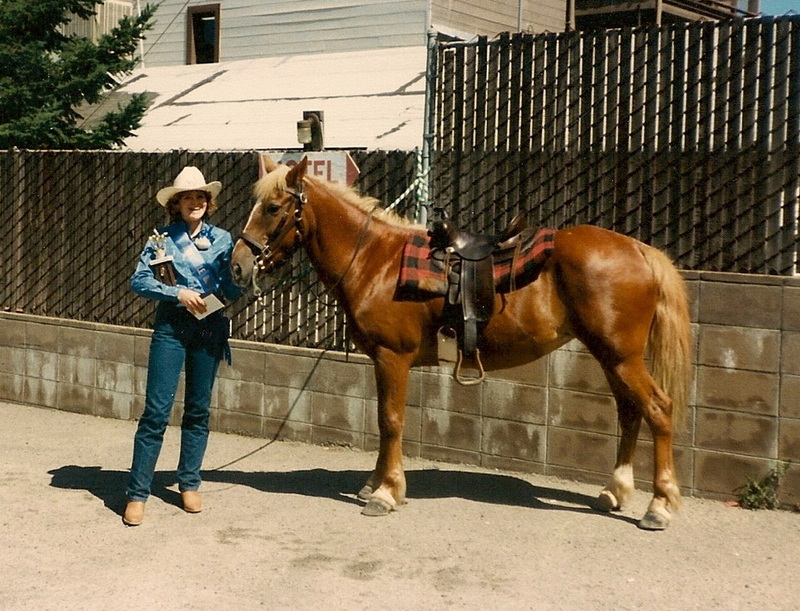 My very first horse was a small Morgan/Welsh cross mare. Well, at least that's what they thought she was. I didn't care. She could have been a zebra and I would have been just as delighted. 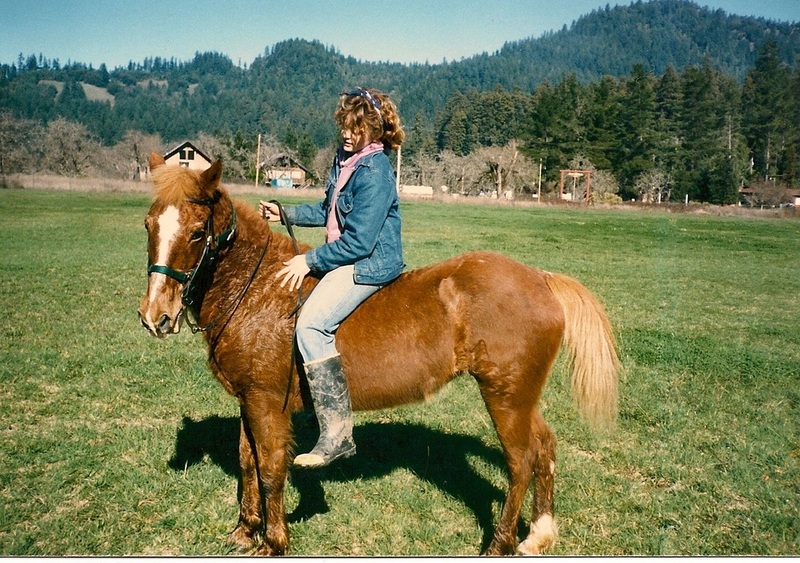 When I left my mom's house in Sacramento and moved to rural Humboldt County to live with my dad, there was finally room to have a horse. 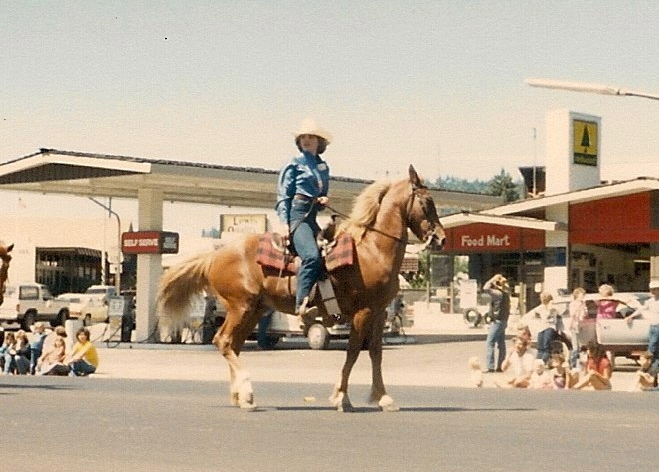 My step-mom had horses throughout her childhood and early adulthood and quickly recognized the horsey bug in me. I don't know how long it took, but she finally wore my dad down, and he agreed that I could have a horse, BUT ... You know what's coming, here. I had to pay for everything and it was going to be my responsibility to do all the feeding, etc. The first part of all that meant clearing the thick brush that covered the only level spot on my dad's eleven or so acres. And when he said I was going to help do the work, he meant it. We spent many hours cutting dense brush, ripping out stumps, burning branches, and building the fencing. And I was there for every minute of it. I had bug bites, scratches, blisters, and sore muscles. But it was worth it. I'll say this for my dad - he made me earn everything I got, but I am so glad that he did. Every dollar I now spend on my horses comes with the recognition that I've worked hard for that dollar followed by the question, is this worth buying? When we went to look at Sunshine, that was her name, I knew I wanted her before we even got there. What wasn't to like? She had four working legs and was free. She was small, but very sturdily built, a brilliant copper color with a thick flaxen mane and tail, and was in her early teens. It didn't hurt that she was super cute and had a very friendly eye. No one thought to put a saddle on her. She was bridled, and I was popped up on her back. They sent me out to a neighboring field to give her a try. Within a few minutes, I had her smartly trotting around ... and then she wasn't. She bucked me off, and I hit the dirt. Her owner, a father of several no-longer-interested-in-horses children, was very disappointed that I had fallen off. He was hoping to be rid of the mare, one less mouth to feed and all that, and was certain that I no longer wanted her. Quite the opposite, I was actually terrified that my dad wouldn't let me get her since I had fallen off. I caught her and brought her back to my dad and step-mom, sheepishly asking if I could still get back on her. My dad, bless his heart, fully expected me to. I think he would have been pissed at me for making him drive all the way out there only to get bucked off and quit so easily. In his mind this was one of those by God, you wanted a horse, now get back on it! moments. It seemed as though he and I were, for once, on the same page. After Sunshine, there many other horses: Nakota, Gideon, Corky, Sassy, Montoya DSA, Mickey Dee, G Ima Starr FA (also known as Speedy G), and Sydney. Each of them has their own unique story to tell. I hope you'll read about the rest of them.